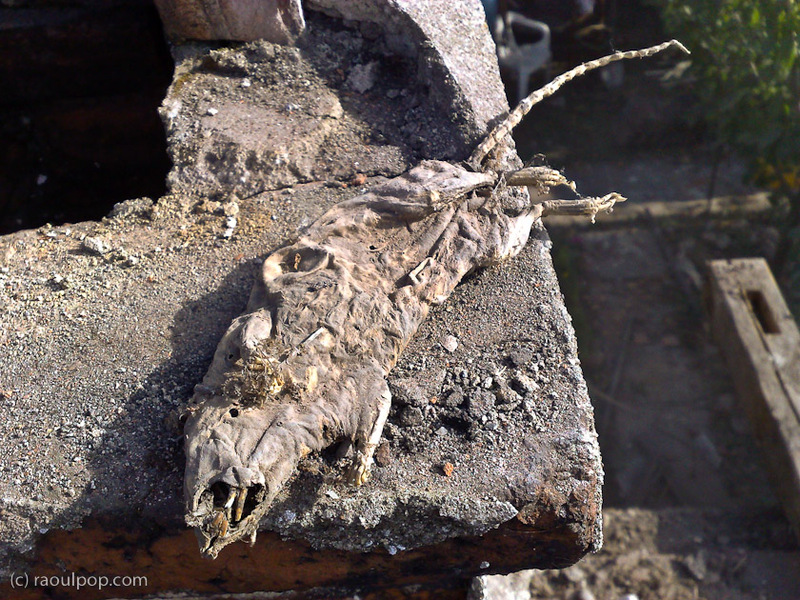 In the process of replacing our roof tiles, I found a mummified rat. It’s stiff, fairly well preserved, and it’s the second one I found (I threw away the first one out of disgust). It’s probably the combination of the warm and dry air in the attic that kept it like this. I don’t know how old it is. It could be only several years old, or it could be hundreds of years old. (Our house is over 200 years old.) It looks like it’s going to hold together for another several decades, if not more. You may not want to look at the photos if you’re easily disgusted. 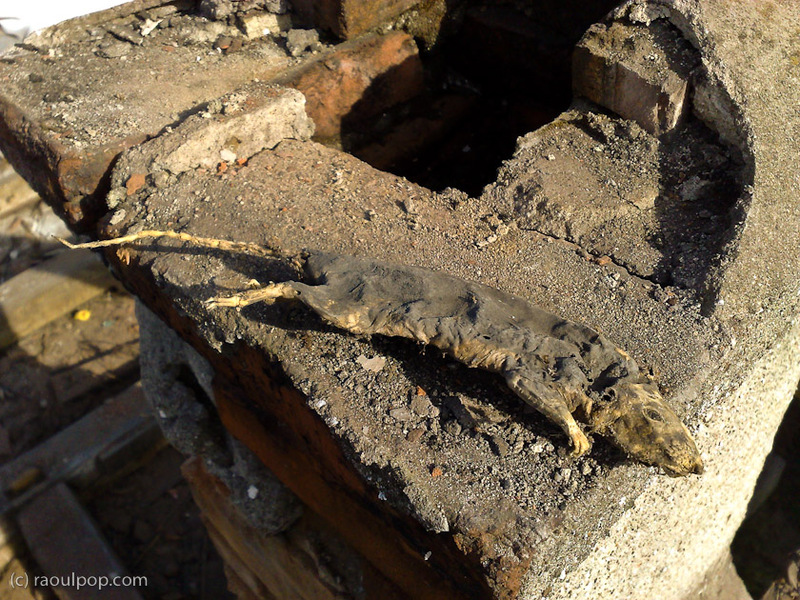 i found a mummified rat standing on its hind legs and it is completely intact. it has claws and teeth too.